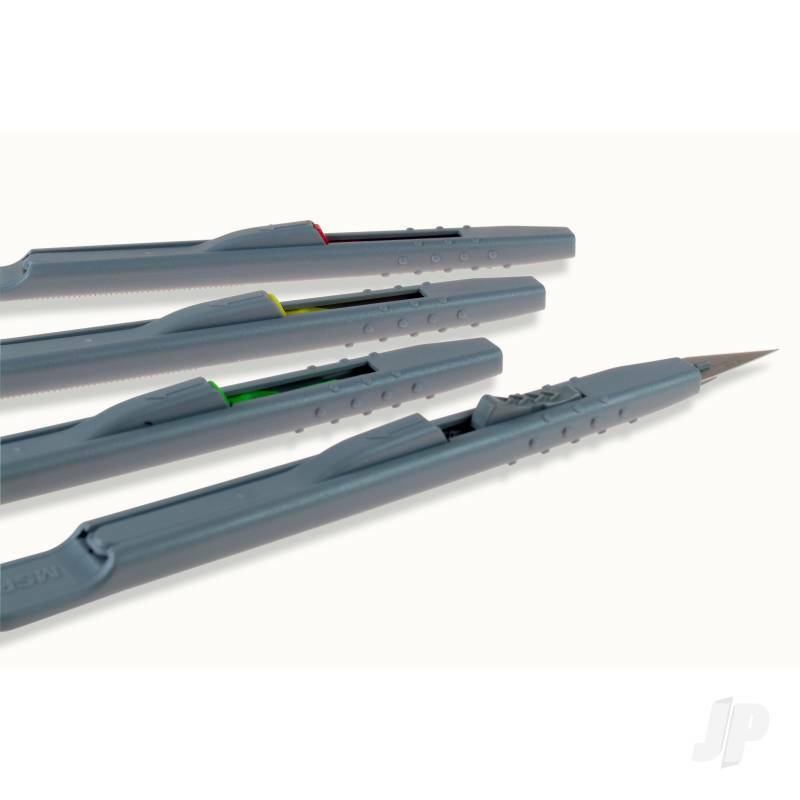 A set of 4 different scalpel blades. Can be opened and closed with one hand. Ultimate safety. Retractable precision knives with blade locking feature.